The Employment Tribunal has dealt with almost 60 claims of disability discrimination taken against the Department for Work and Pensions (DWP) by its own staff over a 20-month period, new research has shown. A database on the Employment Tribunal website shows that, since it began publishing its findings in February 2017, it has dealt with 57 cases that include claims of disability discrimination by DWP across England, Scotland and Wales. The website’s database appears to show that DWP (with an estimated 75,000 staff) has the worst record on disability discrimination of any large government department, with 20 cases against the Home Office (which has about 30,000 staff), 32 against the Ministry of Justice (about 70,000 staff) and 29 against HM Revenue and Customs (about 60,000 staff). Of the 57 DWP cases published by the Employment Tribunal, about 30 were eventually withdrawn. But a leading employment discrimination lawyer said that such cases will “almost certainly” have been withdrawn because the two sides had reached a confidential agreement. It is not possible to produce exact numbers, but of the other cases, at least a dozen appear to be either still ongoing or to have resulted in a finding that DWP had discriminated against a disabled employee, with at least six concerning discrimination against staff with mental health conditions. The number of well-founded allegations made by its own disabled staff should prove an embarrassment to ministers, particularly because DWP is responsible for the much-criticised Disability Confident scheme, which aims to help employers recruit and retain disabled employees. DWP claims to be a Disability Confident “Leader”, the highest of the scheme’s three levels. Dr Minh Alexander, a former consultant psychiatrist and NHS whistleblower, who carried out most of the research, said the figures demonstrated the department’s incompetence and showed that it did not understand disability, particularly mental health. She decided to check the tribunal database after hearing how DWP was forcing charities delivering services on its behalf to sign contracts preventing them from attracting “adverse publicity” to the department. She said: “It made sense that if they are were abusing their power in one area, they were abusing their power elsewhere. “I was staggered at the number of claims. Just the sheer number suggests there is likely to be an issue with DWP as an employer. They are not managing their people properly. 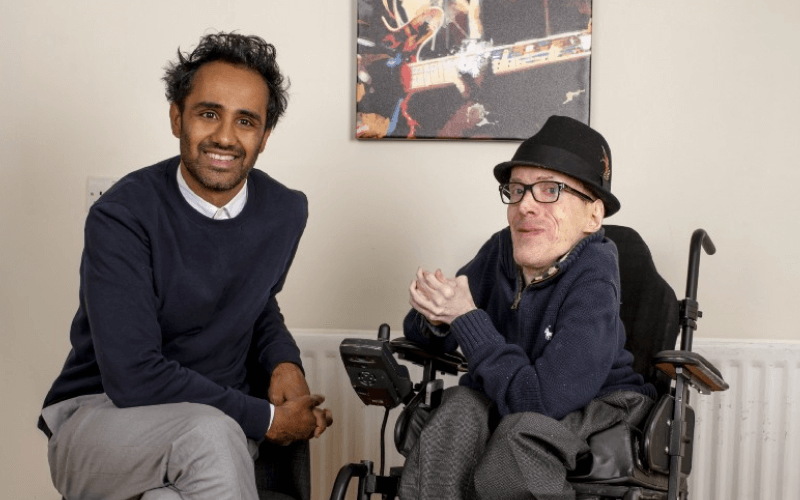 David Gillon, a disabled campaigner and one of the most prominent critics of the Disability Confident scheme, said: “Over and above its Disability Confident Leader status, DWP is the very hub of Disability Confident. “Its performance around disability should be an example to every other employer in the country. He added: “Disability Confident, even at its most basic level, commits an employer to work with a disabled employee to retain them in employment. Gillon also pointed out that the first six months of the cases on the tribunal website were at a time when the government was still charging employees to take cases to tribunal, with fees even higher for discrimination claims. Those fees were ruled to be unlawful by the Supreme Court in July 2017, and were subsequently scrapped, but the government’s own research had already shown that the introduction of fees in 2013 had seen the number of cases received by the tribunal falling from about 60,000 in the year to June 2013 to about 19,000 in the year to September 2015. Gillon said this suggested that even more cases against DWP would have been taken to tribunal if it was not for the fees. 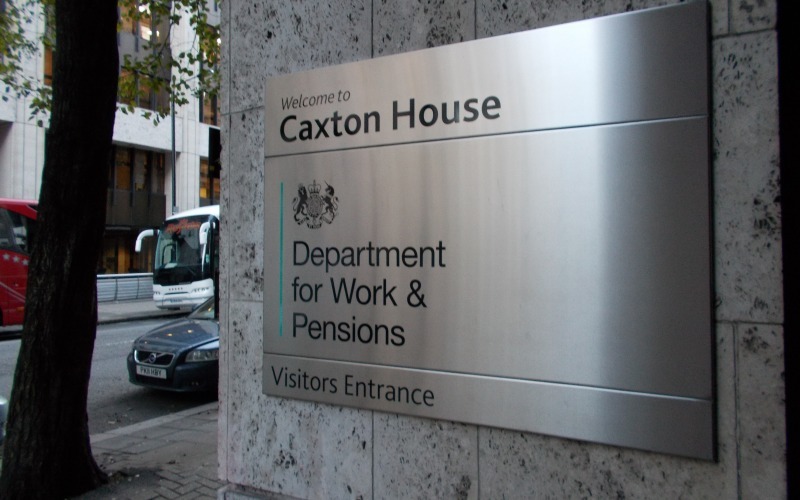 Detailed examination of some of the cases in which the tribunal ruled against DWP show at least six of them involved staff members with experience of mental distress. Hancock also announced at the summit in central London that the UK had joined Australia and Canada in launching the Alliance of Champions of Mental Health and Wellbeing. In one case, the tribunal said DWP had produced no “satisfactory evidence” to explain why its Cumbria and Lancashire district had sacked 10 people in 2016 because of “work-related stress”. The former employee, who described to the tribunal that the way he had been treated by DWP had been “intimidating, demoralising and offensive, degrading, humiliating”, was awarded nearly £50,000 in compensation. In another “serious case”, a tribunal judge concluded that DWP’s behaviour was “contrary” to its own “mission statements” on supporting disabled employees in the workplace. A third case in which the tribunal found against DWP involved a work coach with several impairments, including anxiety and depression, who had been working at a Manchester jobcentre. The panel heard that there had been only eight people in her team when there should have been 12. Another case saw the tribunal find that DWP had discriminated against a disabled member of staff with long-term mental ill-health, postnatal depression and arthritis, while a fifth case saw a tribunal find DWP had discriminated against a personal independence payment case manager with long-term depression. DWP last night (Wednesday) failed to explain why managers in its Cumbria and Lancashire district had dismissed 10 members of staff as a result of work-related stress during 2016. But in a statement, a DWP spokeswoman said: “DWP is absolutely committed to ensuring all staff, including those with disabilities or health conditions, get the support they need to thrive. “The department has a duty of care to its employees and aims to lead by example when it comes to the protection of employees from discrimination under the Equality Act 2010. DWP also said that the number of tribunal cases was proportionately very small, that it provided a range of mental health support, and had pledged to train another 500 mental health first aiders in 2019-20, taking the total to 700. DWP also claims to have improved the procedures for managing excessive sickness absence by putting employees at the heart of its decision-making, and to have improved its discipline and grievance procedures, while it said it was also working to improve the quality of its internal appeals. DWP said it only dismissed staff after extended sick leave and its occupational health experts had indicated that a return to good health and work was unlikely within a reasonable time period. DWP said it had a comprehensive stress policy and procedures, including a stress self-assessment toolkit and a mental wellbeing toolkit that sign-posts staff to a wide range of support. And it said it provided a comprehensive range of programmes, workshops and e-learning to support wellbeing, mindfulness and resilience in the workplace.